The 12 year study of VFSRAC surgery which is the new type of Voice Feminization Surgery was finally published in the world’s renowned journal, The Laryngoscope. This research was based on the findings of 362 patients who have had this VFSRAC surgery for the last 12 years. This proves the effectiveness of VFSRAC surgery and its successful outcome when accompanied by vocal function exercises for certain period post-operatively. 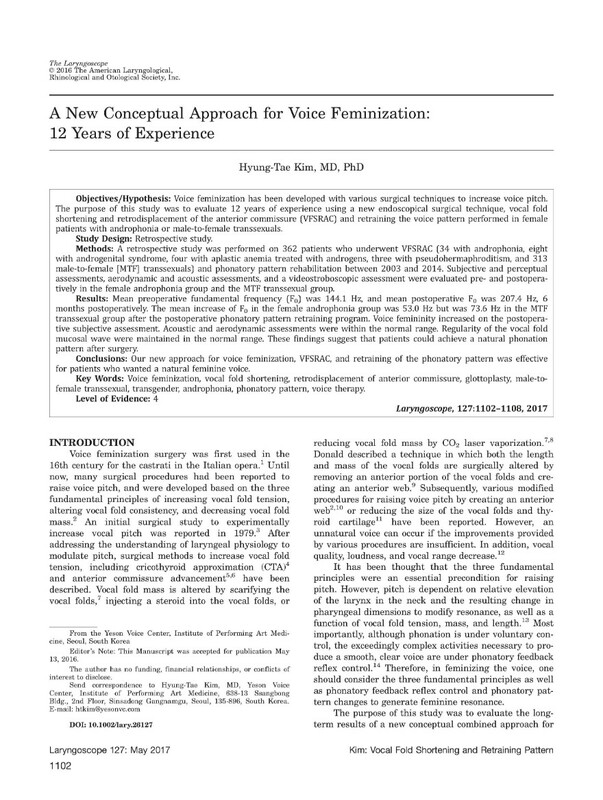 Title : A New Conceptual Approach for Voice Feminization: 12 Years of Experience.